State aid rules play an important role in the management of the single market. State aid is defined as any advantage granted by public authorities through state resources on a selective basis to any organisations that could potentially distort competition and trade in the EU. Unless otherwise permitted, State aid is viewed as incompatible with the single market and is prohibited. However, the Treaty leaves room for the granting of State aid in respect of several policy objectives, considering the possibility of market failures and the need for a well-functioning and equitable economy. For example, of relevance to the agricultural sector and forestry, the Treaty considers aid to make good the damage caused by natural disasters or exceptional occurrences as compatible with the single market. It may also consider State aid to promote the economic development of the agricultural and forestry sectors and of rural areas compatible with the single market, provided that it does not adversely affect trading conditions. Furthermore, due to the specificities of the agricultural sector, Article 42 of the Treaty on the Functioning of the European Union (TFEU) provides that the rules on competition apply to production of and trade in agricultural products only to the extent determined by the European Parliament and the Council. Because of the importance of this Article to what follows, it is worth quoting in full. Note that the agricultural products covered by this Article are set out in Annex 1 TFEU and are referred to as Annex 1 products. “The provisions of the Chapter relating to rules on competition shall apply to production of and trade in agricultural products only to the extent determined by the European Parliament and the Council within the framework of Article 43(2) and in accordance with the procedure laid down therein, account being taken of the objectives set out in Article 39. Under the CAP, the Union provides financial support to the agricultural and forestry sectors and to rural areas. As the economic effects of State aid do not change depending on whether it is (even partly) financed by the Union, or whether it is financed by a Member State alone, the Commission considers that there should in principle be consistency and coherence between its policy in respect of the control of State aid and the support which is granted under the CAP. Thus, the first paragraph of the Article on State aid (Article 81 in Regulation (EU) 1305/2018 on rural development and Article 131 of the proposed CAP Strategic Plan Regulation) lays down that, save as otherwise provided, the Treaty’s competition rules including those governing State aid apply to support provided under the CAP. • Additional national financing provided by Member States for rural development interventions for which Union support is granted at any time during the programming period, provided it is included in the Rural Development Programme and falls within the scope of Article 42. • Payments by Member States that are financed exclusively from national funds (i.e. without any EAFRD co-financing, so-called ‘pure’ State aid) for measures which are designed largely in accordance with the conditions of a given rural development measure (‘rural development-like measure’). Payments in the first two categories within the scope of Article 42 TFEU are exempted from State aid disciplines. When the Commission approves RDPs, it implicitly accepts that the benefits with respect to EU objectives in the agricultural and rural sectors are greater than any potential distortion to trade within the single market. However, payments to enterprises that are not covered by Article 42 TFEU (e.g. forestry, small businesses producing non-Annex 1 products) even when made pursuant to a Rural Development Programme are not exempted. Payments in the third category above (pure State aid for RD-like measures) are similarly not exempted. If a Member State wishes to provide these supports, it must seek State aid approval from the Commission. In passing, we can note that Pillar 1 direct payments under the CAP are not considered as State aid (and thus do not need to be exempted), because Member States do not exercise any discretion regarding direct payments because European Union law predetermines the eligibility criteria (see the entry under ‘State aid’ in the DG AGRI Glossary). Similar exemptions from State aid disciplines as for rural development interventions apply to specific supports under the Single CMO Regulation due to the application of Article 42 TFEU. For State aids that are not automatically exempted as part of a Rural Development Programme, a Member State has to inform the Commission of its intention in advance (‘notification’) and wait for an authorisation by way of a Commission Decision before putting the proposed measure into effect (‘standstill obligation’). This can be a time-consuming process while the Commission checks on the details provided by the Member State. Three initiatives have been introduced to simplify the process. The first is the block exemption. Under the Agricultural Block Exemption Regulation (EU) No 72/2014 (ABER), State aids which meet general and specific criteria set out in the Regulation are processed under a ‘fast track’ procedure. Member States are not required to seek prior authorisation of the Commission, but are merely required to inform the Commission which then publishes that information. This fast-track procedure usually takes around 10 days compared to half a year or more for the authorisation procedure. One restriction in using ABER is that it only applies to aids to SMEs. Although this covers nearly all primary producers in the EU, the fast-track procedure cannot be used, for example, where a Member State wants to pay compensation to larger companies for a disease outbreak or for forestry measures. The second simplification measure is that the Commission has codified the criteria it will use to assess a notified State aid measure in a set of agricultural Guidelines (GL) for State aid in the agricultural and forestry sectors and in rural areas. These agricultural GL lay down the conditions under which the Commission will consider that an individual aid or an aid scheme is compatible with the internal market and can therefore be authorised. Aid notified under the GL can be paid to both large and small enterprises. The third simplification measure is the Agricultural de minimis Regulation which sets out the maximum amounts of aid that can be granted to a single undertaking over a given time period deemed not to fall within the definition of State aid and which therefore is not subject to the notification procedure. These agricultural State aid instruments are not only important for rural development measures not exempted by Article 42 TFEU or pure State aid for RD-like interventions. Even where Member States can provide support in their Rural Development Programmes, they sometimes prefer to make use of the ABER fast track procedure or even to seek Commission approval through the authorisation process under the agricultural GL. For example, many Member States prefer to keep their support for insurance schemes outside the RDP framework. In some cases, the criteria for ABER fast-track notification are wider and more flexible than the RDP provisions, which encourages Member States to make use of this alternative. Article 131 State aid of the draft CAP Strategic Plan Regulation incorporates the existing provisions whereby Member State co-financing of CAP interventions, or additional national financing, is exempted from the requirement to notify as State aid, provided these interventions fall under the scope of Article 42 TFEU. There are a few changes worth noting. One is an additional clarification that, in the case of support for operations which are partly covered by Article 42 and partly not, then the exemption does not apply. I am not sure what exactly the Commission has in mind here. One example might be support for a rural business that produces both Annex 1 and non-Annex 1 products, for example, a small abattoir that slaughters cattle and sells both meat but also meat sandwiches in a small shop. Specifically for support for investment in non-agricultural products, there is another potentially significant change in the proposed legislation. In the 2014-2020 Rural Development Programmes, Member States can provide support for investments in the creation and development of non-agricultural activities, provided they are micro- or small enterprises in rural areas or managed by farmers or members of a farm household. Because this is support for a non-Annex 1 activity, it is not exempt from State aid discipline under Article 42 TFEU but it could be notified under the ABER fast-track procedure. The equivalent Article 69 in the proposed legislation is both more general but also includes a small but crucial distinction. Member States would be allowed to grant support to help “business start-ups of non-agricultural activities in rural areas being part of local development strategies”. The first thing to notice is that only start-ups but not the development of existing businesses can be supported. The second thing to notice that that there is no longer any limitation to micro- and small businesses; it will be up to Member States to set whatever limits they deem necessary. The third change, of relevance to this post, is that the support must be provided as part of a local development strategy. The reason why this is important goes back to Article 42 TFEU which was quoted earlier. In addition to exempting support for agriculture from State aid rules to the extent decided by the Council and Parliament, it also exempts aid granted “within the framework of economic development programmes”. I assume that the intention is that, in future, aid given to non-agricultural business start-ups in rural areas will be exempt from State aid disciplines provided it is part of a local development strategy. Finally, there is a new Article 133 on national fiscal measures. Farmers are increasingly facing risks of income volatility. One measure to mitigate these risks is to encourage farmers to make savings in good years to cope with bad years. 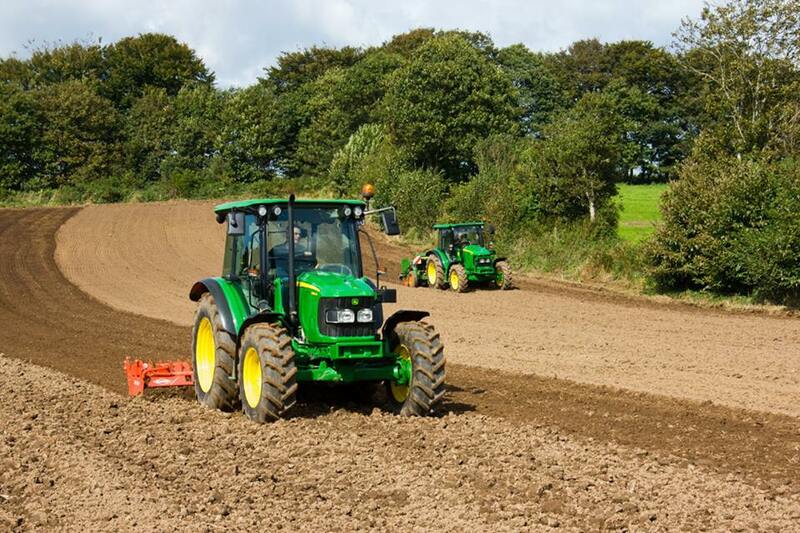 It is proposed that national tax measures whereby the income tax base applied to farmers is calculated based on a multiannual period should be exempted from the application of the State aid rules. Without any intervention from the Commission, the current agricultural GL and ABER will expire at the end of 2020. The Commission has commissioned an evaluation of the changes made in 2014 in the agricultural State aid instruments which is planned for completion next January. According to the Roadmap for this evaluation, “The results from the evaluation will be used for the review of the State aid rules, to be carried out in 2020 with the view to establishing a new State aid framework for the agricultural and forestry sectors and for rural areas for the period 2021 to 2028”. The problem is that the current ABER and agricultural Guidelines are very prescriptive. In this, they closely follow the detailed guidelines set out in the Rural Development Regulation (EU) No 1305/2018. In the proposed CAP Strategic Plan Regulation, nearly all these detailed rules and prescriptions are abolished. It will now be up to Member States to establish detailed rules in their CAP Strategic Plans. So what will happen to the ABER and agricultural Guidelines? One option is to maintain the detailed rules in the ABER and agricultural GL. However, there is no longer any list of detailed rules in the CAP legislation to which these could be benchmarked. Maintaining these prescriptive rules in ABER and the agricultural GL would also run counter to the Commission’s desire to give Member States flexibility in the way they want to meet their CAP specific objectives. ‘Pure’ State aid for RD-like measures should be redefined as ‘pure’ State aid for the CAP specific objectives. But if the criteria for the approval of State aid measures is left fuzzy and unclear, on what basis could Member States notify these ‘pure’ State aids to make use of the fast-track procedure in the absence of legal certainty as to what the Commission is prepared to accept as ‘legitimate’ State aid in pursuit of CAP objectives? A similar question arises for aids for forestry and other non-Annex 1 activities. For Member State administrations, the absence of legal certainty is a nightmare scenario. There is clearly a need for a wide-ranging debate on how to adapt the Agricultural Block Exemption Regulation and the agricultural Guidelines to the performance-oriented model of the CAP proposed by the Commission post 2020. But this debate has not even begun. There was no mention of the revision of these instruments in the Commission’s Annual Work Programme for 2019 presented to the European Parliament earlier this week. This is in line with the timeline previously expressed by the Commission that these revisions would take place in 2020. Perhaps one year might be enough for revision if only minor amendments were foreseen, but even this is uncertain. On the last occasion, the Commission published its Roadmap for the revision of these instruments in December 2012, the draft rules were made available for comment in February 2014 and the legislation and Guidelines came into force in July 2014. More important, Member States are supposed to have finalised drawing up their CAP Strategic Plans by the end of 2019. The lack of clarity regarding how some of the interventions they might wish to propose might be treated in the State aid framework will be a major source of uncertainty and, I would have thought, a major obstacle to finalising these Plans. To minimise this uncertainty, it would seem important that the Commission should clarify its intentions with regard to the revision of the agricultural State aid instruments at the earliest opportunity.